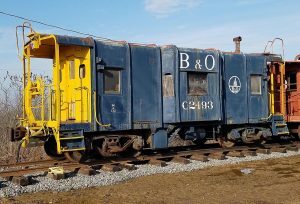 Built in the Baltimore & Ohio Railroad’s Keyser Shops, the C2493 is an example of one of the famous “wagontop” style bay window cabooses. They were given this name due to the unique rounded construction where the side sheets met the roof. The car was built in 1942 as part of Class I-12. 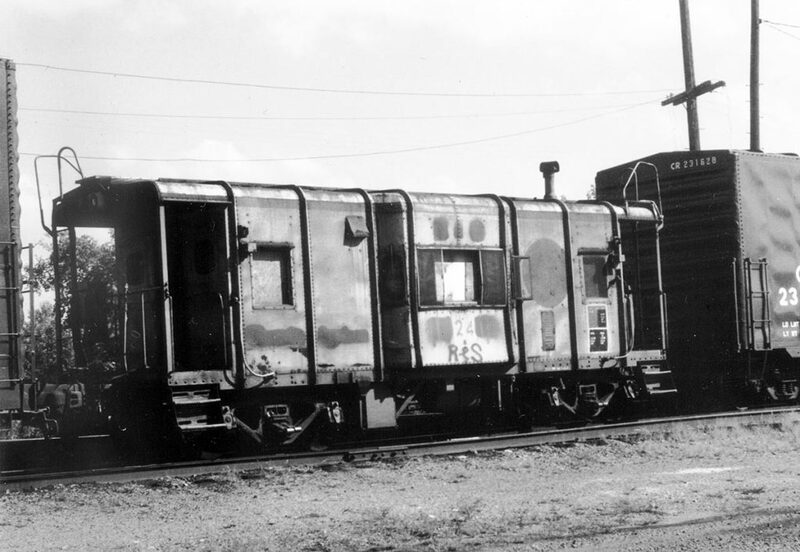 The caboose continued to serve its new owner Chessie System into the 1970s. From there, it was sold to the Rochester & Southern Railroad where it was used in local service around Rochester. It was then sold to a private individual before it was purchased by two museum members, and partially repainted into blue and yellow. The caboose was donated to our museum at the end of 2017. This car is currently not on public display. Former B&O C2493 in use as a “shoving platform” on the Rochester & Southern Railroad, 1980s.